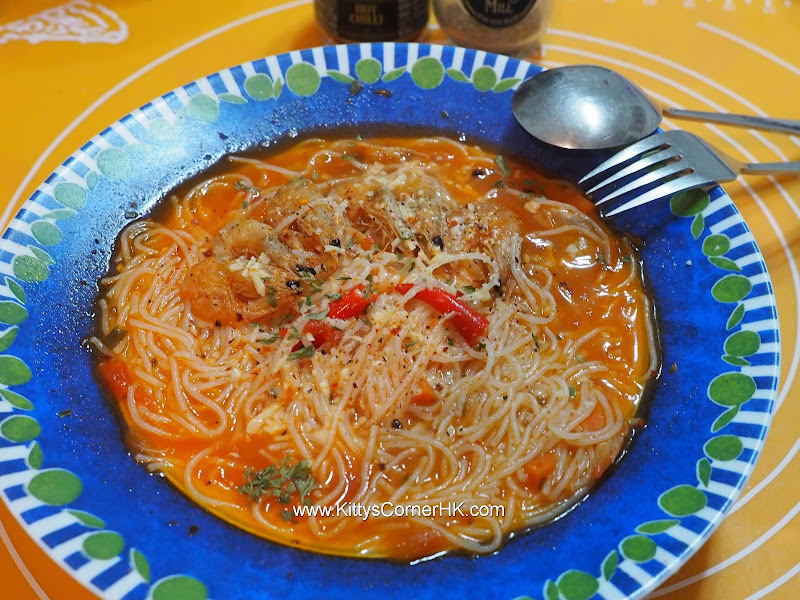 Vermicelli in soup with potato, tomato, dried shrimp, onion, garlic, shallot, sure you'll get a tasty dish ! Great to go with a soft bun with garlic butter! Vermicelli immersed in water. Cut potato into 1cm cubes (soaked in salt water), cut tomato. Chopped garlic, shallot and onion. 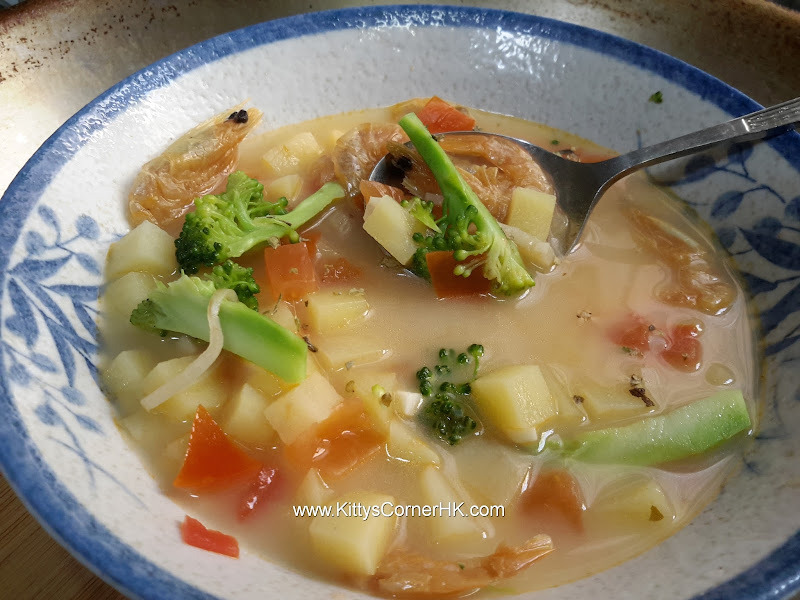 Put little oil in a deep frying pan, fold in garlic, shallot, stir fry, add dried shrimp, stir fry, add onion, stir fry, fold in potato and tomato, stir fry. Add hot boiling water, cover and cook until potato is soft. Add vermicelli and salt to taste. Sprinkle little black and chili pepper, sprinkle cheese powder and garnish with red chili. Serve. 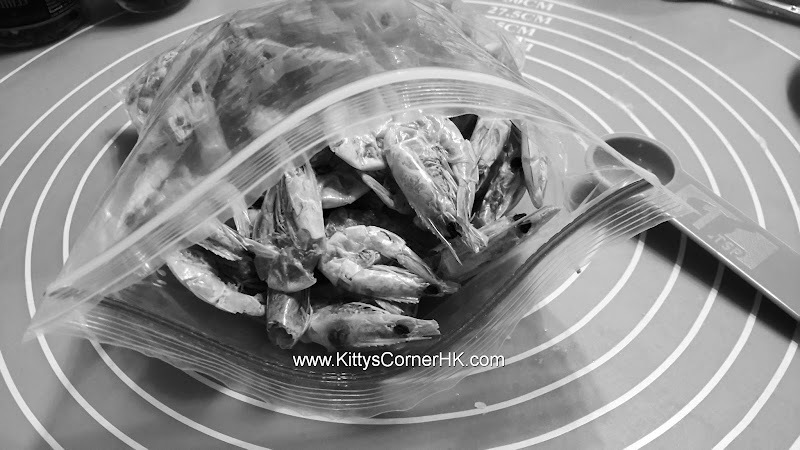 Split a bag of dried shrimps into several small bags. Use one after one. Store in dry place. 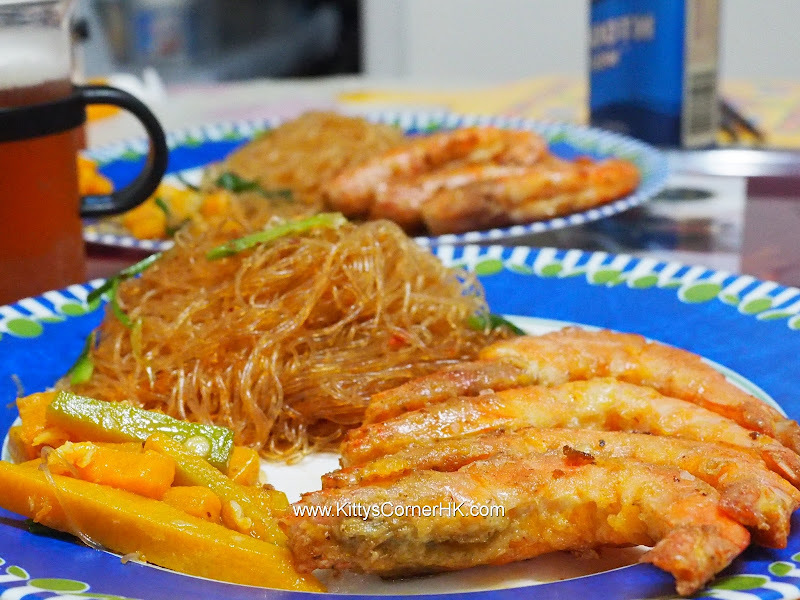 Smaller dried shrimp without shell is good for making many dishes, such as with vegetable and Chinese vermicelli, fried rice etc.